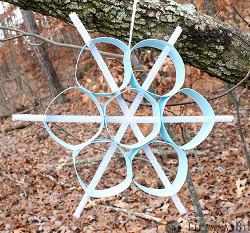 Making paper snowflakes has always been one of my favorite winter activities, but I was absolutely obsessed with paper snowflakes as a child. When I first learned how to make a paper snowflake, I just couldn’t stop. My kitchen table has been no stranger to paper scraps and multicolored scissors over the years, and now that winter is finally here, I had to share my love for these snowy paper creations. This kid-friendly guide will teach you everything you need to know, from learning how to make paper snowflakes to tackling tricky paper snowflake designs. 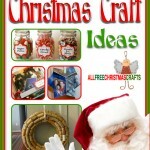 Just because these winter crafts are perfect for kids doesn’t mean adults can’t make them, too. Making paper snowflakes has no age limit! This paper snowflake tutorial from FaveCrafts will teach you the basic paper snowflake pattern, so start here! Fold a square piece of paper in half diagonally to form a triangle. Fold the triangle into thirds, folding each side towards the center. Cut a straight line across the bottom. Cut pieces out of all three sides in random patterns. Open to see your finished snowflake. Once you’ve mastered these six steps, you can move on to the paper snowflake patterns below! One of a Kind Snowflakes– this paper snowflake pattern will help inspire you to create your own wintery creations. 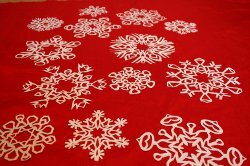 Pipe Cleaner and Paper Snowflakes -if younger family member struggle with scissors, you can make these paper snowflakes instead! 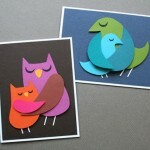 They’re just as cute, and they’re incredibly easy. Super-Sized Snowflakes -making paper snowflakes is always fun, but making them as big as you is even better! These gargantuan flakes are easy to make, too. Paper Snowflake Garland -this tutorial from Elevator Musik will teach you how to make paper snowflakes into a festive DIY garland. 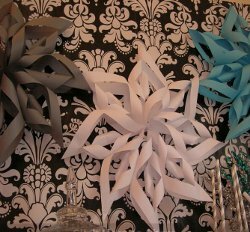 3D Paper Snowflakes -once you’ve mastered the standard paper snowflake template, go the extra mile and try making them 3D! Game of Thrones Paper Snowflake Patterns -Krystal Higgins designed these awesome paper snowflake patterns, and you can download the templates for free to make your own! 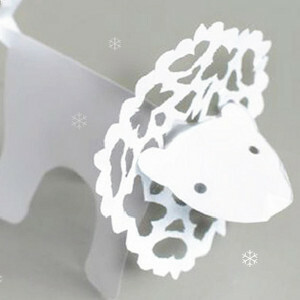 Precious Snowflake Lions -turn your favorite snowflakes into adorable wintery creatures! Paper Snowflake Trees– these creative paper crafts from Just Crafty Enough are the perfect way to reinvent your classic paper snowflake designs and make an elegant centerpiece all in one project. Star Wars Paper Snowflake Patterns– make these paper snowflake designs from Anthony Herrera to prove you are the ultimate Star Wars fan. 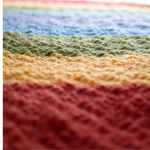 Browse the site for even more amazing patterns! Psssssst! Have a unique paper snowflake tutorial you’d like to share? Contact us! Do you and your family make paper snowflakes in the winter? your marry christmas stuffs are very good. i will definetly share this content with my family and friends on the day of christmas eve. I work with challenged individuals (both young and old) and they like using coffee filters. If their dexterity isn’t the best, they can tear the filters easier than paper and it’s easier because of the size they are (we use both big and little filters). My kids (which are grown) have learned snowflakes using filters.